In traditional forms-based martial arts, whether they be Okinawan, Japanese, Chinese, Korean, Indonesian etc., there is an unspoken rule - a cardinal assumption - that your head should face your "imaginary opponent" at all times. And when you think about it, this seems to make sense. Almost every analysis (in karate called "bunkai") of traditional forms takes this into consideration. So, for example, the sideways punches of the karate kata naihanchi/naifunchin are interpreted in a variety of ways - but all of them are consistent with your opponent being generally to your side. Then along comes the odd form/kata where that rule is broken - for no immediately apparent purpose. The most obvious case I can think of in karate is in the goju ryu kata saifa (see the technique below). This technique is commonly interpreted in a way that largely, if not completely, ignores the sideways look of the head. Which is fine - and makes perfect sense: there's no reason for applications to slavishly follow the exact form of the kata. 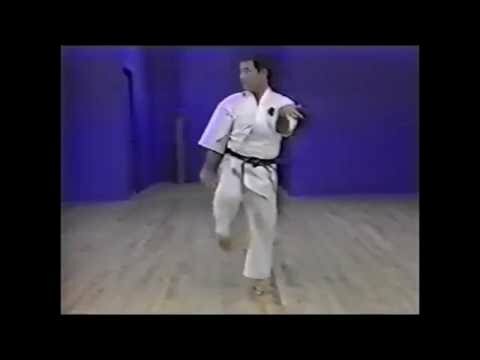 Consider the video below by my friend Bryson Keenan and note his excellent examination of the single leg move at around 1:46. 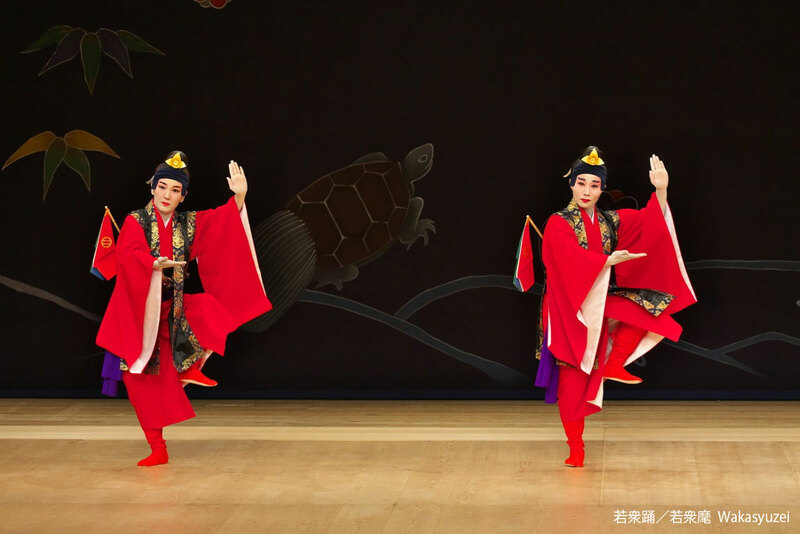 So what do we make of the "sideways" look here - and other oddly directed head turns elsewhere in traditional kata/forms? I've always been unconvinced by the "multiple opponents" rationale. It seems highly contrived to be imagining a second opponent coming from a very specific angle. Another argument I find implausible is the assertion that the unusual head movement "is to hide/obscure a secret technique." Sorry - I'm not buying either. I've never quite gotten to grips with the saifa head move - maybe because it is really quite benign in the scheme of things. It might be there as a transmission error or it might yet have an important function. At this point, I'm just not sure. Until I am fairly certain - one way or the other - its benign nature (i.e. the fact that it doesn't impact on my understanding of the move and its applications) means I'll keep on practising the form the way I was taught it - with the sideways head move. My first teacher used to say that the traditional forms he was passing down to me had real, functional meaning. Sometimes that meaning had been lost and was awaiting discovery. On his account, he'd held onto many such moves, often for decades, before stumbling upon an understanding - an "Aha!" moment. What made him so sure his "understanding" was correct - or that there even was a worthwhile meaning to an "odd" movement (as opposed to discovering it was just a poor technique - or worse, a transmission error)? I guess that judgment call comes down to a mix of experience and gut feeling. 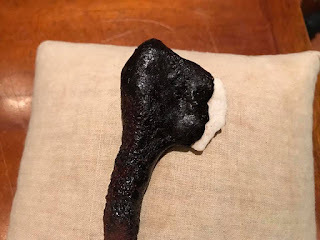 My instructor's encyclopedic knowledge of traditional martial arts techniques, combined with real-life experience and pressure-testing over an entire career, made me think he was likely to be in a position to make the right call more often than not. 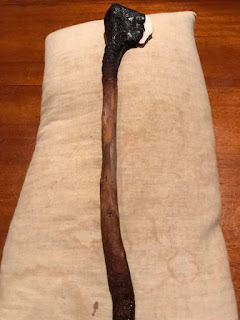 Sooner or later (if we train long enough, and with enough sincerity, honesty, industry, creativity and thirst for knowledge) we can all get a fairly good (or at least better) idea about whether we've uncovered some "knowledge of the ancients"1 about which I've previously spoken. Now I'm not claiming to have enough knowledge to get this sort of call right every day. But I do know that I'm getting better as the years go by and my experience slowly increases. Very recently, I had what I assume to be an "Aha!" moment in relation to a certain move in taijiquan (tai chi) which involved "looking away" from your opponent. For years I've wondered what possible reason there might be not to keep your eyes on your opponent at all times. However, with my instructor's words still burning in my ears, I continued to practise the technique as I'd been shown. The movement concerned is that known as "brush knee". In almost every variant of which I am aware, you are not only allowed to look away from your opponent (so that your gaze follows your arms as they swing away) but you're required to do this. My current teacher pondered the oddity of this movement just last year during his visit to our dojo for a special course. What would account for this strange, almost universal (in taijiquan) manner of performing the technique? You turn your head in order to ride a blow. 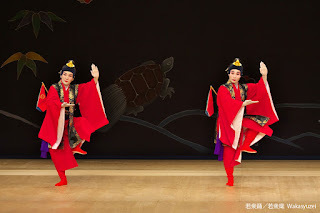 Another common example in my own style of taiji can be found in the sequence that commences in "high pat on horse" and extends to "separate right foot". Chen Pan Ling's own textbook clearly shows the sequence as involving a head-turn. You can see from the left column that Grandmaster Chen Pan Ling first looks to the right as he rotates his arms around in a clockwise circle. The right column then shows him kicking out and entering into another "high pat on horse" (followed by a "separate left foot" - not shown). Why would the head turn be necessary? Well, again, it can help to ride a powerful blow, which is likely to be a cross in this instance. But I think it also showcases the need for your shoulders to be turned to face a strong force swinging in from the side - particularly of the kind you get with cross or a hook. So have I stumbled on the "real" reason for "looking away from your opponent" in these two instances? I don't know for sure. I'd be lying if I said I were. But I'd also be lying if I told you I didn't feel reasonably confident that what I've found plays at least some part in the design of the techniques - and their requirement for "turning the head". After all, I'm not just theorising - I'm testing (as you can see from the videos). These tests might not be in any sense "exhaustive" but, combined with my present knowledge and experience, they give me some reason to reach tentative conclusions. The trick is to be honest in your training, confident in your experience and reasoning, yet stay open to other ideas, including those that might contradict conclusions you've previously made. 1. Speaking of "knowledge of the ancients", my wife recently met an Aboriginal man who fashioned for her a stone axe - right before her eyes - using a mix of tree resin, fire and ash to affix a stone cutter to piece of wood. It's the kind of technology that, were we suddenly to be forced to survive in the wild without any modern technology, would come in very handy. This "ancient" technology has been lost to most modern people. But in its element, it works as well did in the 30-40,000 years preceding the arrival of Europeans to this continent. I've argued before that human fighting is timeless and that some particular ancient methods of coping with common violence are likely to have been as, if not more, effective for their purpose as what we know today. Much like that stone axe, things don't get more elemental than raised fists. 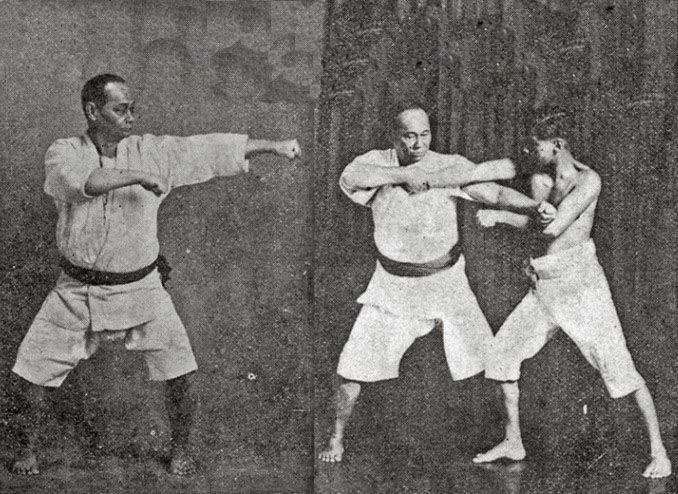 I think that it is therefore unsurprising that we can see the applications of so many traditional forms in effective "modern" strategies - including some (like the front snap kick) that have (until fairly recently) been written off as "unworkable".